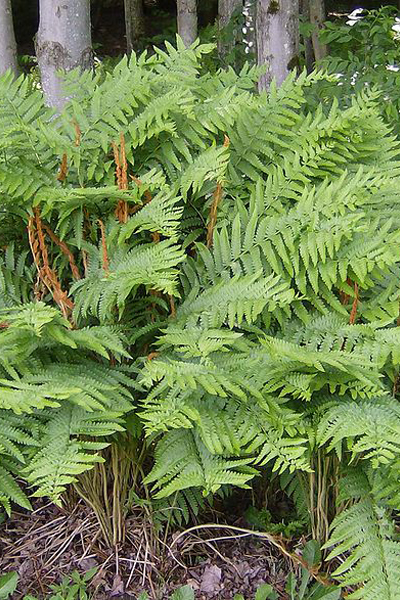 2-5’ height non-evergreen fern. First foliage appears as Cinnamon sticks. Later producing leaves that are deep waxy green. Prefers acid soil, up in late April dormant in September.